1. Wash and chop mutton to small sized cubes; drain it and set it aside. 2. Heat a pan on a medium heat till hot. Reduce the flame to simmer and dry roast the ingredients listed above ‘To Dry Roast & Grind’ on the pan. Stirring often till the spices give off their aroma and begin to get slightly darker; remove from fire. Allow to cool. 3. Grind the above roasted spices into a coarse powder. 6. When it done or when the pressure settled down open the cooker and cook uncovered in a medium-low flame till all water in it is evaporated and mutton pieces become almost dry. 7. Meanwhile heat the pan with 3 tbsp of oil and fry the coconut slices to light brown color, remove and transfer it a paper towel. 8. In the same pan add the reamaing oil and add finely chopped shallots/onions and green chilies and saute untill turns to transulcent and brown in color, now add the curry leaves and saute for couple of minutes. 9. 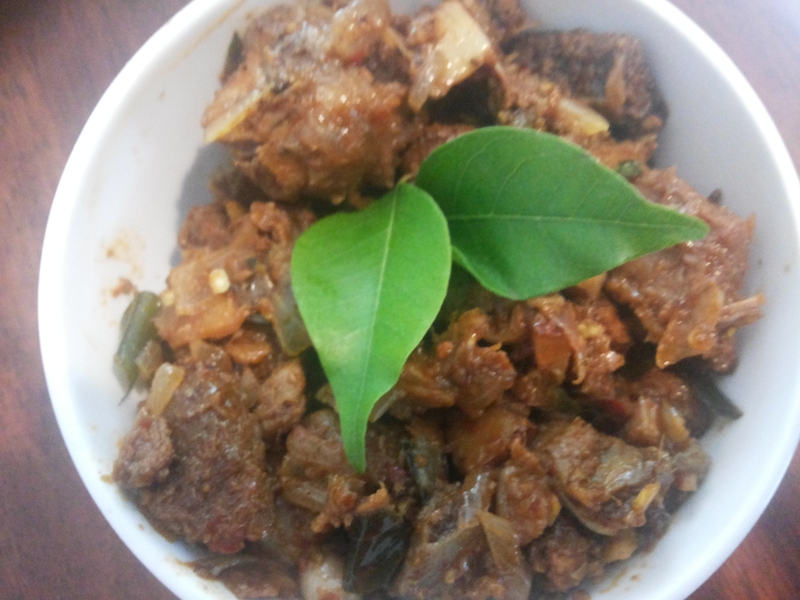 Now add cooked mutton pieces and combine well and roast it over medium-low fire till it turns dark brown in color. 10. 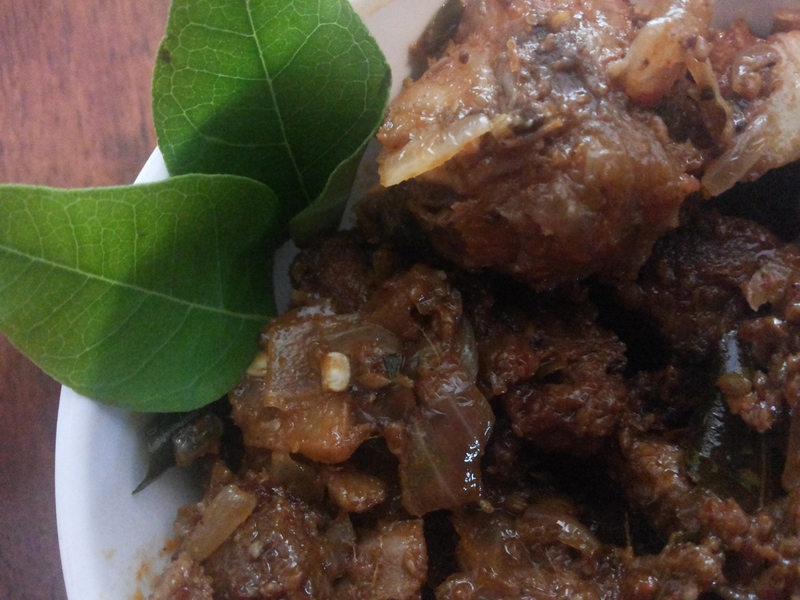 Once the mutton starts to dry and have attained the dark brown color then add fried coconut slices and combine well.